Vacation Express has announced new, direct service to Freeport on Grand Bahama Island from New Orleans. 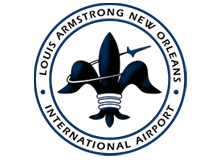 Beginning May 27, 2017, exclusive non-stop flights to Grand Bahama Island will depart weekly from Louis Armstrong New Orleans International Airport through June 26, 2017 for quick four-night escapes. ATLANTA, Jan. 17, 2017 /PRNewswire/ – Vacation Express is thrilled to announce new, direct service to Freeport on Grand Bahama Island from New Orleans! Beginning May 27, 2017, exclusive non-stop flights to Grand Bahama Island will depart weekly from Louis Armstrong New Orleans International Airport through June 26, 2017 for quick four-night escapes. In celebration of this new service and in support of local Bahamian hero and shooting guard for the NBA’s New Orleans Pelicans, Buddy Hield, The Bahamas Tourist Office is promoting these non-stop flights with a booth featuring giveaways, travel vouchers and more at games held at the Smoothie King Center on January 23, February 23 and March 14, 2017. Travelers to Grand Bahama Island will be delighted with the non-stop flights operated by Sunwing Airlines on a Boeing 737-800 featuring their signature Champagne Service, which includes a complimentary bag of pretzels, in-flight entertainment and a complimentary beverage. All passengers are permitted one free carry-on bag and the option to upgrade. Upgrades start at only $20 each way for Preferred Seating with the option to upgrade to Elite Plus for only $39 each way which includes amenities such as priority check-in, seating with extra legroom and a free checked bag weighing up to 44lbs. Vacations are on sale now, and packages to this beautiful destination can be booked online at VACATIONEXPRESS.com, by calling 1-800-309-4717 or through a local travel agent. Hiring is now ongoing at the Baha Mar resort on Cable Beach with 1,500 positions available. Baha Mar officials say that the megaresort is on track for the soft opening scheduled for April this year.